In the 1930’s an overzealous mayor named Tom Pendergast allowed Kansas City to go rogue. 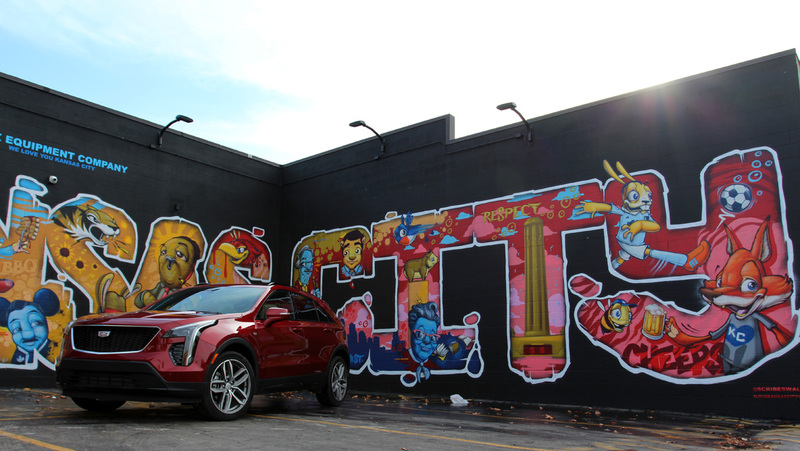 In an era hallmarked by prohibition, liquor and jazz music filled the streets of this middle-America city to the point it became known as the “Paris of the Plains.” So it seems befitting that Kansas City serves as the hometown to the 2019 Cadillac XT4, because it too is a little rogue. 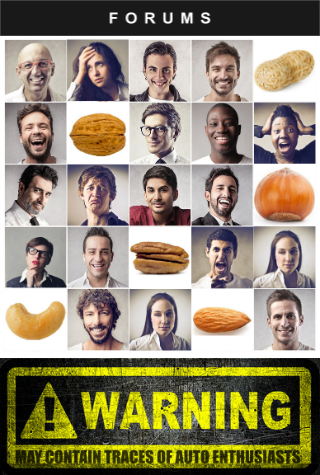 However, it’s rogueness may be its silver-lining. Technically produced in Kansas–about one mile from Missouri–the XT4 shares its assembly plant with the Chevrolet Malibu because they loosely share their bones. This is the first area in which Cadillac has taken an unconventional approach with XT4. It isn’t based on a rear-wheel-drive architecture like the BMW X3 and Mercedes-Benz GLC Class. Instead, it’s based on a hacked-together chassis that kind of stems from GM’s E2XX platform. Unsurprisingly, this means the XT4 is available in front and all-wheel-drive formats. Our loaded-up XT4 Sport tester was, of course, fitted with all-wheel-drive. The twin-clutch AWD system undoubtedly adds some vest to the handling aspect of the XT4. When in “sport” mode the AWD system automatically engages, making the XT4 fun to drive. In this setting the XT4 doesn’t drive significantly different than a 2019 BMW X3; in fact, they feel remarkably similar when it comes to maneuverability and an overall “light-footed” feel. It helps they are both powered by a turbocharged 2.0-liter four-cylinder, with the 237 horsepower XT4 never feeling underpowered, but leaving those of us enthusiastic drivers wondering what it would be like with more. Some highlights of the XT4’s drive include a brake pedal feel that’s arguably superior to the BMW and a steering rack that is appropriately weighted, accurate and even provides a reasonable level of feedback from the road. These attributes combine to form a crossover that drives smaller than it is, which is a positive given the XT4 has gone rogue when it comes to size and segment. Instead of cleanly fitting in the compact or midsize crossover segments, the XT4 is sort of straddling both. At 181 inches long, it’s four inches shy of the X3, but significantly larger than the compact X1. Cadillac seems to be positioning it as a big compact instead of a midsizer, which seems appropriate. Regardless of its official segment, the XT4 proved to be an excellent city vehicle. 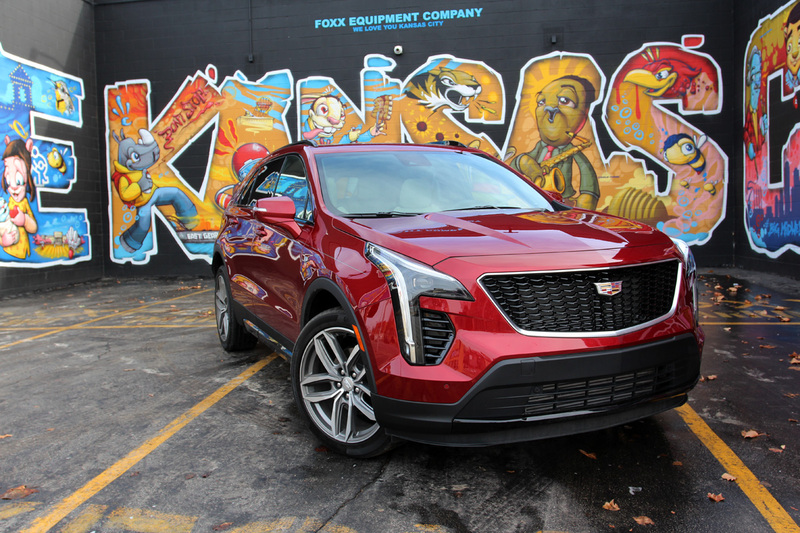 While hardly a huge metropolis, Kansas City’s downtown has the largest population in history, meaning parking and maneuvering can get tricky; trickiness completely nullified by the XT4’s tight turning radius and 360-degree camera system. 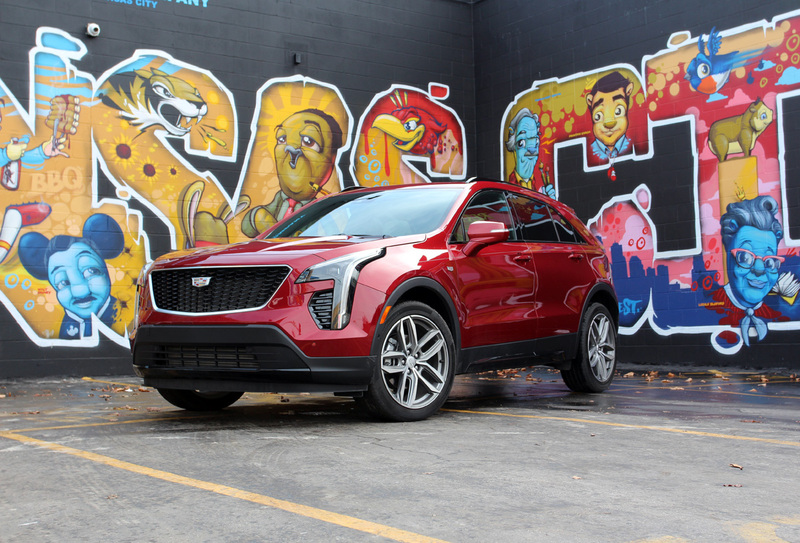 Cadillac has fitted the XT4 for four exterior cameras, which not only stitch together a birds-eye view, but also allow the driver to hone in on the front or side cameras when maneuvering in tight city parking garages. Also aiding on the parking front is a self-parking feature that will park the XT4 in parallel or perpendicular parking spots. While the system works great when it is able to identify a parking spot, getting it to actually find the spot proved to be an annoying task at times. When not parking, XT4 does offer adaptive cruise control with stop and go assist, a system that proved to remove much of the stress of driving on I-35 in the KC metro during rush hour. It’s an experience that consistently reminds me why I live and work in downtown, but for those out in the burbs, the XT4 is a nice choice. Hitting the highway in the XT4 does yield a couple disadvantages though. Engine and road noise are more noticeable in the XT4 than in, say, a BMW X3. This audible difference likely stems from the Cadillac’s more mainstream bones. This is an issue that was particularly noticeable on winter-ravished roads here in the KC metro. City dwellers will find the XT4 appealing for reasons beyond function. 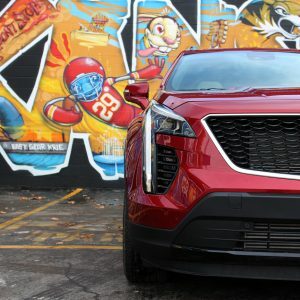 The XT4 is arguably the most stylish Cadillac in recent memory with chiseled features such as the dramatic headlights and tightly-creased grille. It’s almost as if Cadillac forgot some of the softness its other recent products have brought into the fold, going back closer to the original Art & Science theme that launched the first Cadillac revival in the early 2000’s. The XT4 design even pays a little homage to a much loved but forgotten product: the CTS Sport Wagon. XT4’s oversized taillights are heavily inspired by the former wagon and add a sense of youthfulness and uniqueness to a vehicle that is in a segment full of look-alikes. While photographing the XT4 in the trendy and artsy Crossroads district of downtown KC, the XT4 felt like it belonged there; garnering a few stares from the younger crowd that frequents the neighborhood of art galleries and bars. Like all recent Cadillacs, the XT4 is available in two distinct flavors. There’s the youthful looking Sport model that we tested, as well as the Premium Luxury variant. The Premium Luxury is there to appeal to the more traditional Cadillac buyers with a chrome grille and red lenses on the taillights to tone down the fountain of youth design traits on the Sport. While it too looks appealing, it isn’t likely to find many buyers in urban areas given the Sport comes in at the same base price. Regardless of trim level, the interior of the XT4 is a pretty nice place to reside. It too is a little rogue in comparison to other Cadillac models. 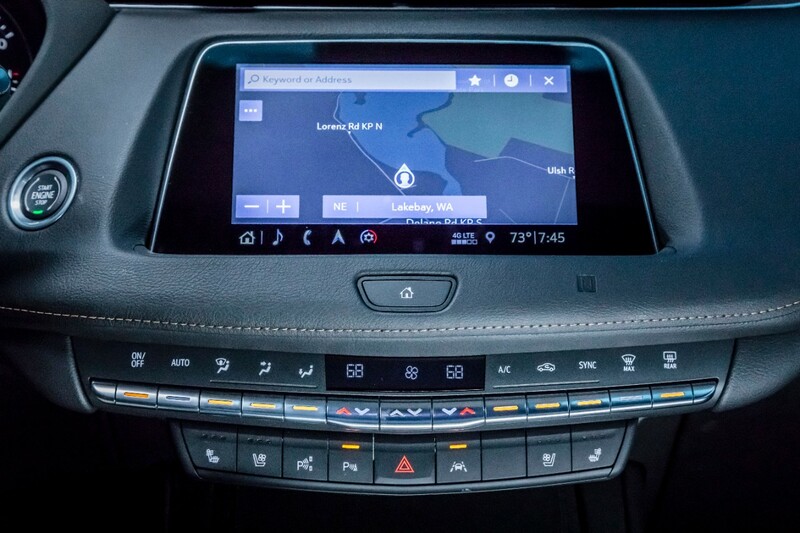 There’s no capacitive touch buttons like in the CT6 and XT5; there’s real, easy-to-use switchgear flanking a large touchscreen that has lightning fast infotainment software. While this version of Cadillac’s CUE system has no major issues, it still lacks the polish of BMW’s latest iDrive found in the X3. 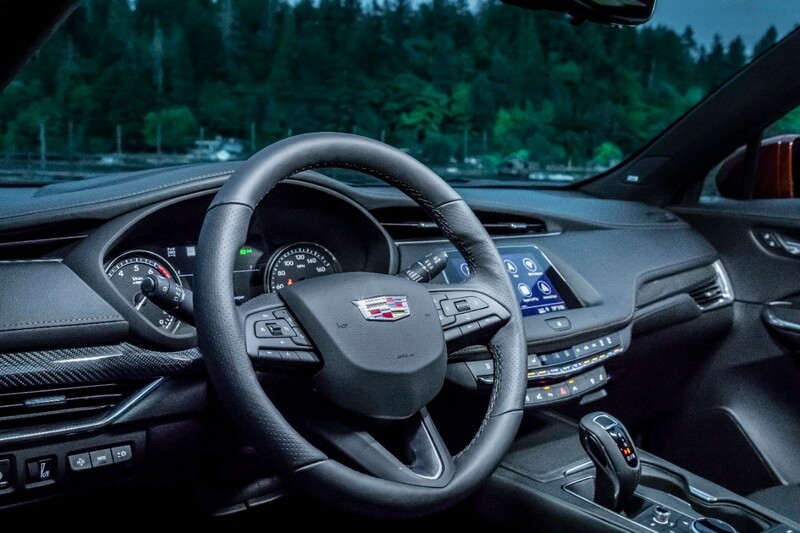 Residing around this technical marvel (for Cadillac, anyway) is an interior design that is simple, but worthy of a near $60,000 price tag our tester commanded. Like the exterior, the interior has been designed to appear youthful. Wood trim is kept to a minimum in Premium Luxury models, while our Sport tester had tasteful carbon fiber accents and red stitching on the seats. 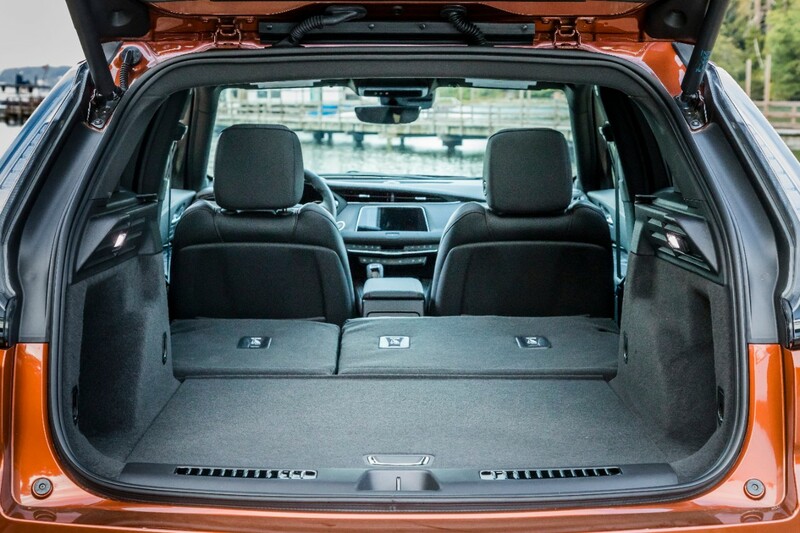 Open the door to an XT5 and then and XT4 and it becomes immediately clear the two are clearly engineered for different buyers. Even backseat passengers are treated well with comfortable seating for three adults. Backseat folks also benefit from ample legroom, HVAC vents and a skyward view with the XT4’s optional panoramic moonroof; a perfect view for all of the cranes building up the downtown KC skyline these days. Cargo room in back is ample, with details such as cargo hooks finished in chrome that help justify the luxury vehicle price tag. As expected with today’s crossover SUVs, all seats can be folded to insert that pack of paper towels from Costco that will last half a year. One omission around back is optional power-folding seats; a nice complement to the hands-free power liftgate. The XT4 is one of those vehicles that the more time I spend with it, the more I like it. It’s rogue in a lot of ways, mainly from the fact GM has produced it on the cheap route (front-wheel drive architecture), but it is a well-executed product that is worthy of consideration from consumers. Those interested in the XT4 will have to be mindful of the packaging on this vehicle. While both Premium Luxury and Sport models start at the same price, both MSRPs can climb to nearly $60,000 fairly quickly. It’s inhibited further by some strange packaging restrictions. Like to get leather you have to add another package of options, hiking the price further. GM clearly wants the average transaction price on the XT4 to be high for the segment. So long as the price can stay reasonable and you’re still getting what you want, the XT4 is a solid choice in the compact luxury crossover game. Like its hometown, it’s rogueness gives it some character and charm that we haven’t seen on other new Cadillac models. Length (mm/in) 4599 mm / 181.1"
Wheelbase (mm/in) 2779 mm / 109.4"
Width (mm/in) 2120 mm / 83.5"
Height (mm/in) 1627 mm / 64.1"
Once it gets out there and word spreads, I think this will be a big seller for GM. In the 1930’s an overzealous mayor named Tom Pendergast allowed Kansas City to go rogue. 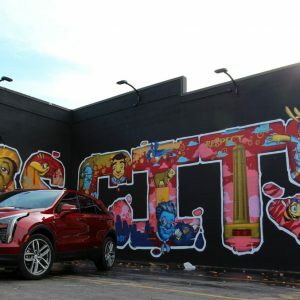 In an era hallmarked by prohibition, liquor and jazz music filled the streets of this middle-America city to the point it became known as the “Paris of the Plains.” So it seems befitting that Kansas City serves as the hometown to the 2019 Cadillac XT4, because it too is a little rogue. However, it’s rogueness may be its silver-lining.Technically produced in Kansas--about one mile from Missouri--the XT4 shares its assembly plant with the Chevrolet Malibu because they loosely share their bones. This is the first area in which Cadillac has taken an unconventional approach with XT4. It isn’t based on a rear-wheel-drive architecture like the BMW X3 and Mercedes-Benz GLC Class. Instead, it’s based on a hacked-together chassis that kind of stems from GM’s E2XX platform.Unsurprisingly, this means the XT4 is available in front and all-wheel-drive formats. Our loaded-up XT4 Sport tester was, of course, fitted with all-wheel-drive. The twin-clutch AWD system undoubtedly adds some vest to the handling aspect of the XT4. When in “sport” mode the AWD system automatically engages, making the XT4 fun to drive. In this setting the XT4 doesn’t drive significantly different than a 2019 BMW X3; in fact, they feel remarkably similar when it comes to maneuverability and an overall “light-footed” feel. It helps they are both powered by a turbocharged 2.0-liter four-cylinder, with the 237 horsepower XT4 never feeling underpowered, but leaving those of us enthusiastic drivers wondering what it would be like with more.Some highlights of the XT4’s drive include a brake pedal feel that’s arguably superior to the BMW and a steering rack that is appropriately weighted, accurate and even provides a reasonable level of feedback from the road. 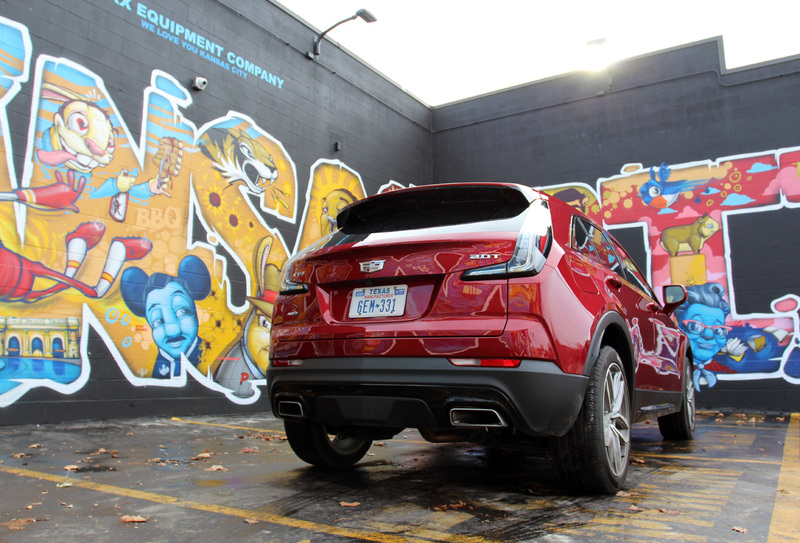 These attributes combine to form a crossover that drives smaller than it is, which is a positive given the XT4 has gone rogue when it comes to size and segment.SIZE MATTERSInstead of cleanly fitting in the compact or midsize crossover segments, the XT4 is sort of straddling both. At 181 inches long, it’s four inches shy of the X3, but significantly larger than the compact X1. 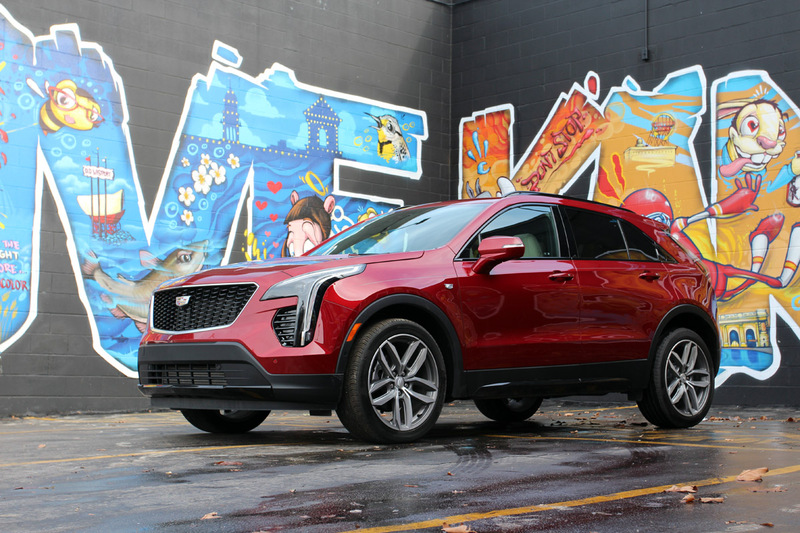 Cadillac seems to be positioning it as a big compact instead of a midsizer, which seems appropriate.Regardless of its official segment, the XT4 proved to be an excellent city vehicle. 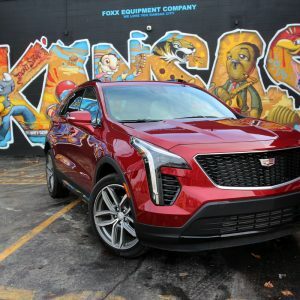 While hardly a huge metropolis, Kansas City’s downtown has the largest population in history, meaning parking and maneuvering can get tricky; trickiness completely nullified by the XT4’s tight turning radius and 360-degree camera system. 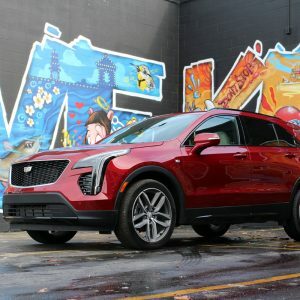 Cadillac has fitted the XT4 for four exterior cameras, which not only stitch together a birds-eye view, but also allow the driver to hone in on the front or side cameras when maneuvering in tight city parking garages.Also aiding on the parking front is a self-parking feature that will park the XT4 in parallel or perpendicular parking spots. While the system works great when it is able to identify a parking spot, getting it to actually find the spot proved to be an annoying task at times. When not parking, XT4 does offer adaptive cruise control with stop and go assist, a system that proved to remove much of the stress of driving on I-35 in the KC metro during rush hour. It’s an experience that consistently reminds me why I live and work in downtown, but for those out in the burbs, the XT4 is a nice choice.Hitting the highway in the XT4 does yield a couple disadvantages though. Engine and road noise are more noticeable in the XT4 than in, say, a BMW X3. This audible difference likely stems from the Cadillac’s more mainstream bones. This is an issue that was particularly noticeable on winter-ravished roads here in the KC metro.FOUNTAIN OF YOUTHCity dwellers will find the XT4 appealing for reasons beyond function. 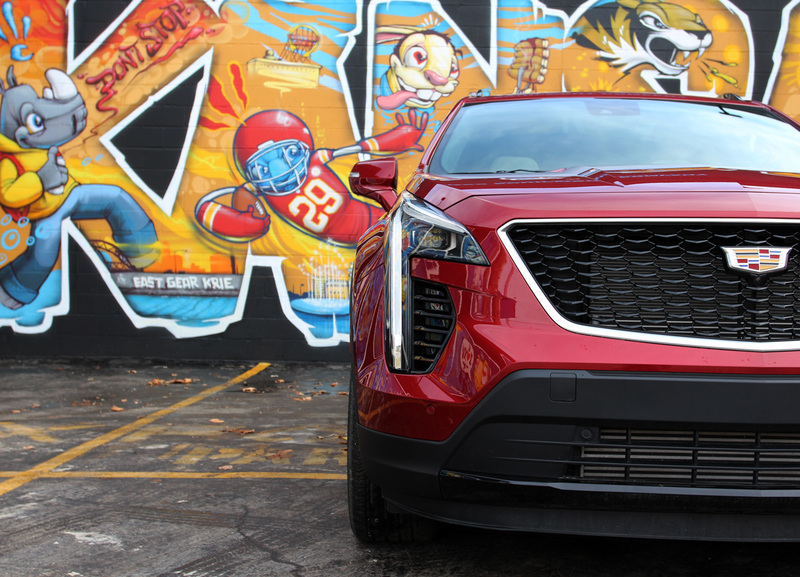 The XT4 is arguably the most stylish Cadillac in recent memory with chiseled features such as the dramatic headlights and tightly-creased grille. It’s almost as if Cadillac forgot some of the softness its other recent products have brought into the fold, going back closer to the original Art & Science theme that launched the first Cadillac revival in the early 2000’s.The XT4 design even pays a little homage to a much loved but forgotten product: the CTS Sport Wagon. 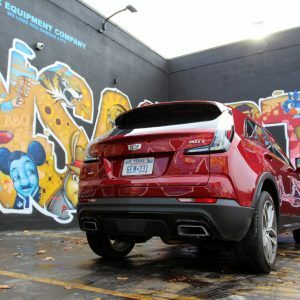 XT4’s oversized taillights are heavily inspired by the former wagon and add a sense of youthfulness and uniqueness to a vehicle that is in a segment full of look-alikes. 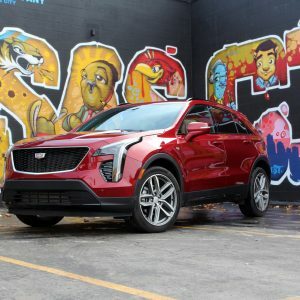 While photographing the XT4 in the trendy and artsy Crossroads district of downtown KC, the XT4 felt like it belonged there; garnering a few stares from the younger crowd that frequents the neighborhood of art galleries and bars.Like all recent Cadillacs, the XT4 is available in two distinct flavors. There’s the youthful looking Sport model that we tested, as well as the Premium Luxury variant. The Premium Luxury is there to appeal to the more traditional Cadillac buyers with a chrome grille and red lenses on the taillights to tone down the fountain of youth design traits on the Sport. While it too looks appealing, it isn’t likely to find many buyers in urban areas given the Sport comes in at the same base price.TECHNICALLY SAVVY FOR ALLRegardless of trim level, the interior of the XT4 is a pretty nice place to reside. It too is a little rogue in comparison to other Cadillac models. 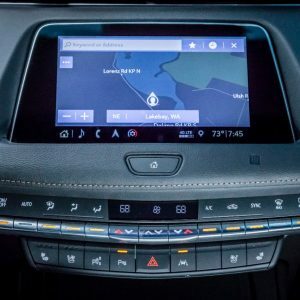 There’s no capacitive touch buttons like in the CT6 and XT5; there’s real, easy-to-use switchgear flanking a large touchscreen that has lightning fast infotainment software. While this version of Cadillac’s CUE system has no major issues, it still lacks the polish of BMW’s latest iDrive found in the X3. 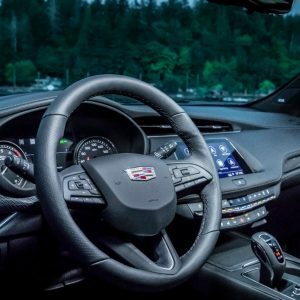 Residing around this technical marvel (for Cadillac, anyway) is an interior design that is simple, but worthy of a near $60,000 price tag our tester commanded.Like the exterior, the interior has been designed to appear youthful. Wood trim is kept to a minimum in Premium Luxury models, while our Sport tester had tasteful carbon fiber accents and red stitching on the seats. 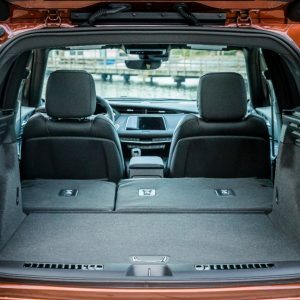 Open the door to an XT5 and then and XT4 and it becomes immediately clear the two are clearly engineered for different buyers.Even backseat passengers are treated well with comfortable seating for three adults. Backseat folks also benefit from ample legroom, HVAC vents and a skyward view with the XT4’s optional panoramic moonroof; a perfect view for all of the cranes building up the downtown KC skyline these days.Cargo room in back is ample, with details such as cargo hooks finished in chrome that help justify the luxury vehicle price tag. As expected with today’s crossover SUVs, all seats can be folded to insert that pack of paper towels from Costco that will last half a year. One omission around back is optional power-folding seats; a nice complement to the hands-free power liftgate.ROGUE WORKSThe XT4 is one of those vehicles that the more time I spend with it, the more I like it. 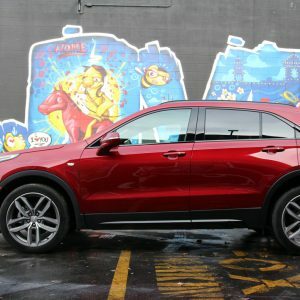 It’s rogue in a lot of ways, mainly from the fact GM has produced it on the cheap route (front-wheel drive architecture), but it is a well-executed product that is worthy of consideration from consumers.Those interested in the XT4 will have to be mindful of the packaging on this vehicle. While both Premium Luxury and Sport models start at the same price, both MSRPs can climb nearly to $60,000 fairly quickly. It’s inhibited further by some strange packaging restrictions. Like to get leather you have to add another package of options, hiking the price further. GM clearly wants the average transaction price on the XT4 to be high for the segment.So long as the price can stay reasonable and you’re still getting what you want, the XT4 is a solid choice in the compact luxury crossover game. Like its hometown, it’s rogueness gives it some character and charm that we haven’t seen on other new Cadillac models. 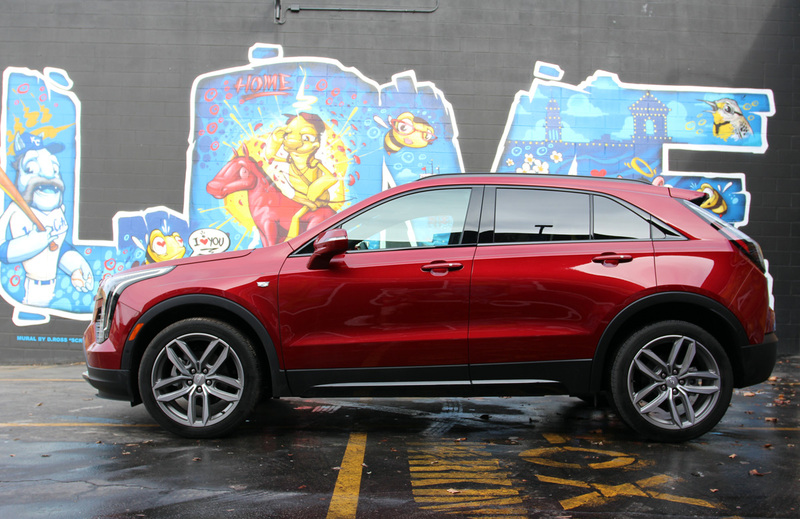 Summary: A great compact luxury crossover that gets expensive quick.